Happy Easter! You’ve just about got enough time to rustle up a few of these little fellows in time for an Easter Egg Hunt with a difference – the creatures have a slot in the back so you can hide an egg inside! 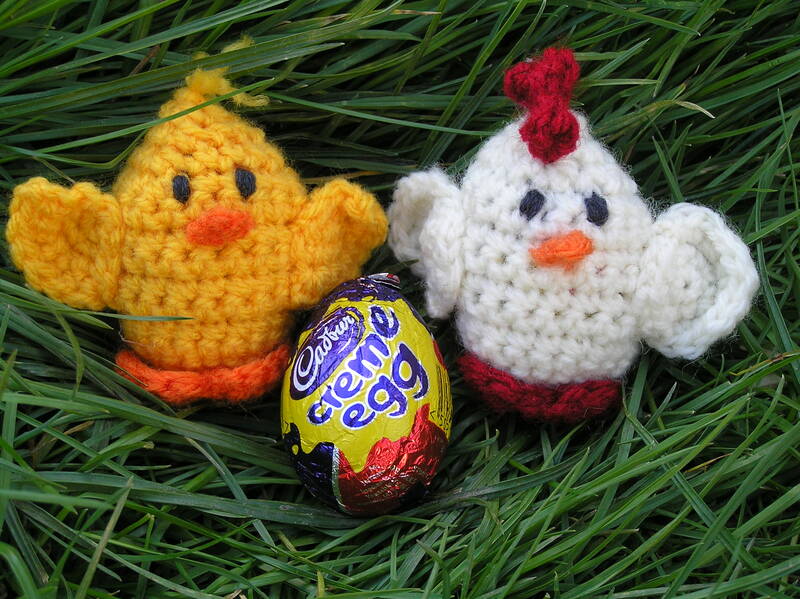 This entry was posted in Free Crochet Pattern and tagged Creme Eggs, Crochet, Easter, Easter Egg, Free Crochet Pattern, free pattern. Bookmark the permalink.